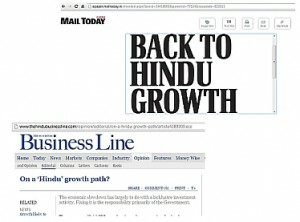 The term ” Hindu Rate of Growth” is a derogatory term coined for the low rate of growth in India during the first 3 decades after Independence which was primarily due to the faulty economic policy by the Congress during the 50’s and 60’s on the base of Socialism. It should actually have been called the “Socialist Rate of Growth”. The term was coined by economist Raj Krishna. This meaning of the term, popularised by Robert McNamara, was used disparagingly and has connotations that refer to the supposed Hindu outlook of fatalism and contentedness. Two renowned personalities who have challenged this false meaning attributed to “Hindu Rate of Growth” and proposed the correct view are Sri S.Gurumurthy and Sri Arun Shourie. Bharat’s children must rebuke any attempt to defame the philosophy of this great land and must expose the hand of British and the faulty policies driven by Pt.Nehru and the Congress. Unfortunately, the country is once again witnessing a phase where some educated sections are being be-fooled by “socialist politicians” who have come in under the garb of an anti-corruption crusade”. This entry was posted in Economics, Nation and tagged AAP, Arun Shourie, Arvind Kejriwal, Communism, Gurumurthy, Hindu Rate of Growth, Raj Krishna, Socialism on March 16, 2012 by arisebharat. Hindu will be safe only when india is a hindu nation.